One of the museums my husband and I visited while we were in Amsterdam was Rembrandt's house. It was one of the best museum experiences I have ever had and well worth the cost of admission. Usually they will have people doing demonstrations throughout the house of paint making and print making. Sadly, the day we went there were no demonstrations. however, the disappointment was erased when we went to the studio at the top floor and found an etching workshop! We made and etching of our own onto plexiglass and then made a print from our etching - all of which we could take home. It was a fantastic experience! I decided to draw a picture of my pinhole camera and make and etching and a print of that. And then as I was drawing it I decided it would be kind of awesome to open the shutter and make an exposure while I was doing this. 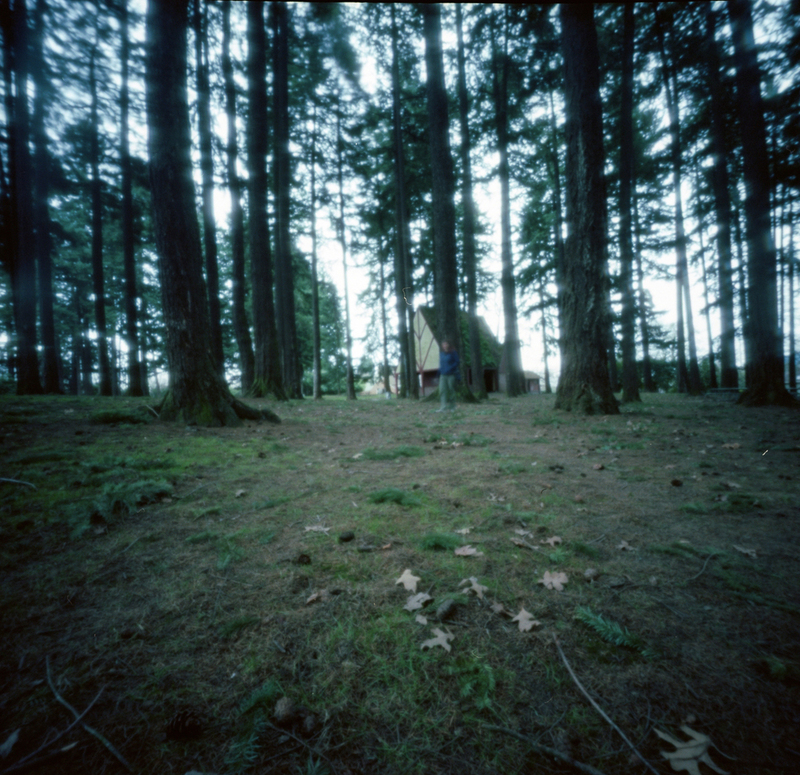 The pinhole photograph isn't the best but it was a fun little experiment. Here is a photo of a print of the etching that I made. I am not very good at drawing, as you can see. But still, it's fun to do. Printmaking is another fascination of mine that I would like to explore in the future. it was kind of fun to mesh two of my interests together. A few weeks ago someone on Facebook (I can't remember who it was now) linked to a tweet from someone else I can't remember. What I do remember is the tweet. It said (something like) "Checking Facebook has become the equivalent of opening the refrigerator and not finding what you are looking for." I love that metaphor. Have you ever done this? Opened the refrigerator and stared into it and not finding that one thing that will make you happy? Isn't life like this sometimes? So this refrigerator metaphor had been on my mind for a few days when I decided to do a pinhole interpretation of it. Yes, I stood there with the door open for more than 8 minutes. I felt kinda bad about that. But it was for art.